Mushrooms are very common and edible food that is loved by many, besides their exceptional health benefits. In this page, i shall be bringing to you 6 different varieties with their health benefits. When it comes to fruits and vegetables, the brighter the colour, the more nutritious they are. However, the dull and colourless mushrooms break all rules and pack a nutritious punch. While white mushroom could already be a staple in your diet, let me tell you about the different types of mushrooms you must include in your diet. Shiitake mushrooms are a rich source of many minerals like calcium, magnesium and phosphorus, which are essential for repairing the wear and tear of bones, muscles and teeth. They are rich in potassium which is necessary for the proper fluid balance of the body. Maitake mushrooms are rich in antioxidants and can help boost your immune system. It is known to help control blood glucose levels and people with type 2 diabetes can benefit from consuming it. White button mushrooms benefit your bones by upping your phosphorous and calcium intake. They also provide you with B-complex vitamins, nutrients that help activate the enzymes your cells need to convert into energy. Portobello mushrooms are rich in B vitamins that are essential for a healthy nervous system and metabolism. 1 cup of cooked Portobello mushroom can provide you with 29 percent of daily recommended intake of riboflavin and 38 percent niacin. Oyster mushrooms are known to reduce triglycerides as well as LDL (low density lipoprotein) or bad cholesterol in your body. They are also a rich source of iron and can benefit those with iron deficiency. 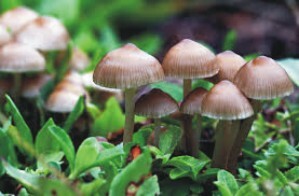 Cremini mushrooms are low in fat and contain beneficial minerals such as potassium and selenium. They are also an excellent source of vitamin B12 and B6. These are 6 different types of mushrooms with their health benefits that some of you might not have realized, Search for them, an eat it a wholesome meal by including them in your diet.